We are here to fight for the survival of the land and people of Appalachia, the right to a healthy and sustainable future with clean air and clean water, and the right to a livelihood that nurtures that future. To achieve these goals, we are up against much more than an unjust mining process. We are fighting decades of repression by the coal industry and its agents including the pharmaceutical companies. We are fighting the inept, if not corrupt, regulation agencies and government. We are fighting mass incarceration and the Prison Industrial Complex. We are fighting out-of-state land companies who hold this land and therefore its people’s lives as a commodity to be auctioned off. We are fighting national ignorance and indifference to the oppression of the Appalachian people. We know that the destruction of the land is always dependent on economic and political oppression of those who live on it. More and more RAMPS is seeing our role as working to subvert the power structures that rob Appalachians of their health, clean water, and self-determination while simultaneously providing direct support to those most impacted by these abuses and connecting these local struggles to similar struggles in other communities. We hope to be a part of changing the realities of who has power in Appalachia. 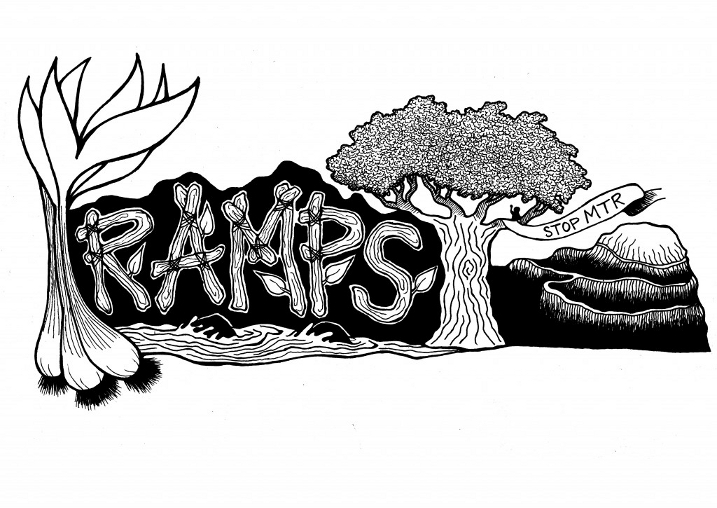 RAMPS is a collection of organizers who share a vision that fostering self-determination and resilience can only be accomplished by building power in communities that are most disenfranchised by corporate and state violence. We need to therefore learn from and actively support people of color organizations and Indigenous resistance communities. In the past few years, RAMPS broadened the way we conceive of and employ “direct action.” In addition to confronting the coal industry at the point of extraction, we also see direct action as direct intervention, direct support/service, working to create community based solutions and community organizing and empowerment. We are part of the larger movement to end mountaintop removal that includes many organizations using a wide variety of strategies. Only by working with and complementing the other aspects of this movement can we dismantle the system of oppression and destruction that enables mountaintop removal. As predominately outsiders in these communities, RAMPS is aware of the dynamics of privilege that come with that and acknowledging and working with that privilege in a just way. Our work here is guided by local residents and in solidarity we offer our resources, our networks, our time, our bodies, and our personal freedom to this struggle.